When I was a kid I knew the company I wanted to work for. I knew what my job would be and the things I’d do. But I couldn’t get hired by that company because it didn’t exist. I had to build it. Here’s a timeline of some of the highlights of that journey. 1995. With an undergraduate degree in anthropology in hand, I headed north to Alaska for a 30-day primitive living practicum in the Alaskan bush. It culminated a decade of focused study of bushcraft and outdoor living, and turned out different, but more powerful, than expected. It’s where the idea for the semester course was born, but it took a few years of percolating on my brain’s back burner before it was ready to see the light of day. Following the experience, I stayed on in Alaska for a year before returning to the lower 48 and enrolling in a master’s program in education. 1999. 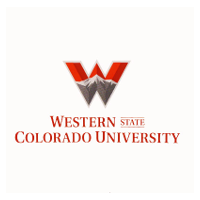 Upon finishing graduate school, I started teaching week long bushcraft courses and guiding wilderness trips, putting off a formal teaching career for a year. I had been teaching and guiding part time for a few years, but decided to make the leap and do it full time. Led trips that year in Maine, New Hampshire and Alaska. 2000. Decided to create programs that bridged the gap between formal education and bushcraft. I was motivated to create a learning experience similar to the Alaska practicum, and the idea for the Wilderness Bushcraft Semester was born in a wall tent at 40 below zero along the Maine and Quebec border. Added the Florida Everglades as a paddling and fishing trip destinations. 2001. Ran the pilot program for the Wilderness Bushcraft Semester, then called the Earth Skills Semester Program. 2002. Ran the first 12-week semester course. 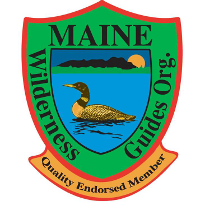 Upgraded my status as a Registered Maine Guide to Registered Master Maine Guide. Added New Brunswick as a paddling trip destination. 2003. Added the college credit option to the semester course and added several destinations in Quebec to our paddling and fishing trip destinations. 2008. 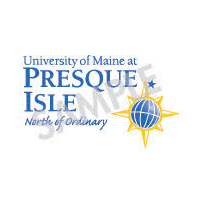 Relocated all of our programs from New Hampshire to Masardis, Maine. Created the yearlong immersion, tying the semester programs together into a more complete learning experience. 2009. Celebrated ten successful years as a full-time bushcraft instructor and guide, as well as 14 semester programs.